A Cape Cod area bicycle accident took place late Saturday evening. The accident happened in Dennis, Massachusetts on Lower County Road near Shad Hole Road. The Dennis Police Department was dispatched to the scene of the accident. After their arrival, they quickly secured the scene and began their investigation of the crash. 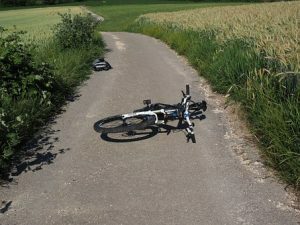 A preliminary investigation indicated that the bicyclist was traveling on Lower County Road when he was struck by an oncoming vehicle, also traveling on Lower County Road. The bicyclist suffered serious injuries in the crash. An ambulance also responded to the scene and EMTs administered medical treatment to the injured bicyclist. The bicyclist’s injuries, however, required hospitalization. He was later transported to Cape Cod Hospital where he is receiving additional treatment. The condition of the bicyclist is unknown at this time and his identity has not been revealed. Dennis police continue to investigate the crash. Authorities have not revealed whether they intend to charge the driver in connection with the accident.